Conduct the Celebrations, Programmes, Activities during Independence Day Celebrations, 2017. The Nation is completing 70 years of Independence on 15th August, 2017. Independence Day National Festival Celebrations, Programmes, Activities in TS Schools. Conduct the August 15th Independence Day Celebrations, Programmes, Activities in TS Schools. Independence Day is celebrated on 15th of August with great zeal. The courage and sacrifice of our freedom fighters is remembered on this occasion. 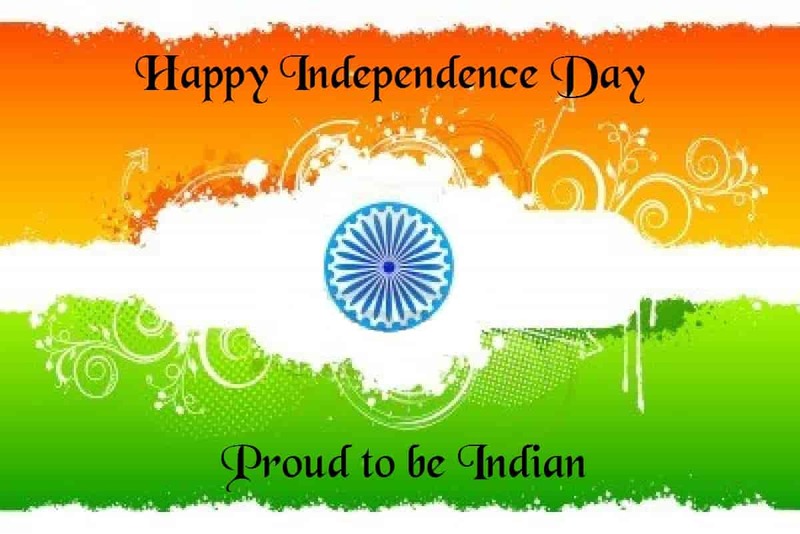 Flag hoisting ceremony, parades and cultural events are observed throughout India. This programme may be arranged in the premises of a nearby Shaheed Smarak, commemorating the martyrs of Independence movement or various wars/terrorist actions since then. In case, there is no such landmark in the vicinity of the· school, the programme may be organized in the school itself. In this programme, an oath is to be administered to all the teachers and students to make the country clean (Swachh} and rid the country of the five problems of poverty, corruption, terrorism, communalism and casteism in the next 5 years i.e. when the nation completes 75 years of its independence in 2022. A copy of the oath is enclosed herewith. A photograph of the martyrs/freedom fighters from the locality or district may also be installed in the schools on this occasion. This is to be followed by a speech by any teacher or any other guest and student on the oath and how we all can together strive to achieve our resolve and rid the country of these vices. • A Quiz competition on the Independence struggle and India's development will be launched on the MyGov website and will be accessible through https://quiz.mygov.in on the 9th August, 2017 and will be available till 15th August, 2017. It will also be available on Narendra Modi· App which can be downloaded on any srnartphone. All students of classes Xl and XII may be encouraged to take this quiz on an online mode. For participation, each student has to first register with MyGov (if not already registered) and get credentials or can log in using Facebook/Gmail credentials/fresh credentials on the Narendra Modi App. This quiz may also be printed put in a physical form and given to the students. The same may be evaluated at the school level and the students who score the highest may ·be suitably felicitated. • A painting competition may be organised for children of classes VI to X on the theme of independence movement from the 9th to 30th August, 2017. The best paintings out of these may be displayed in the school notice board/published in school magazine and also uploaded on school websites etc and the children may be suitably felicitated. In order to create a mass fervour in favor of this national mission, it is requested that due publicity may be given to all these events over the local print and electronic media, social media, websites of schools/education department and also uploaded on the Shagun platform of Department of School Education and Literacy, MHRD and Facebook page of Ministry of Human Resource Development i.e. https:/www.facebook.com/freedom70yearsmhrd/ after logging in from your account. Sub: School Education - The Nation is completing 70 years of Independence on 15th August, 2017 – Regular programmes organized by the State/ District Authorities Instructions issued - Reg. Ref: Proc.Rc.No.154/Plg-1/2017, Dt:26.07.2017 of the Commissioner & Director of School Education, Telangana, Hyderabad. All the Mandal Educational Officers, Headmasters of high schools under all managements, Principals of Model Schools and Special Officers of KGBVs in the district are hereby informed that in the reference cited, the Commissioner & Director of School Education, Telangana, Hyderabad has informed that this year the Nation is completing 70 years of Independence on 15th August, 2017. In this regard, it is desirable that additional activities may be undertaken during Independence Day Celebrations, 2017 with the objective to creative festive and patriotic mood across the nation and for stronger involvement and participation of the general public in the Independence Day Celebrations from 8th to 15th August, 2017 and instructed to undertake the participatory activities mentioned in the instructions issued by the Ministry of Human Resource Development, Department of School Education and Literacy and ensure that whole hearten participation of students, teachers, parents, local people and representatives etc. in this National festival and requested to submit an activity report to this office by 20th August, 2017 school wise without fail. The receipt of these proceedings shall be acknowledged forthwith. MEMO. NO. 32/Pro.B/2017·16, Dated: 01.08.2017. Sub:- State Functions - Certain arrangements for the Independence Day Celebrations, 2017 - Pattern of Celebrations - Regarding. 2017 in the Districts Is appended to this Memo for information and guidance. 2. The Hon'ble Ministers, as nominated by the Government will unfurl the National Flag and take salute at a Guard of Honour, provided by the Police, the Home Guards and the NCC. List of Hon'ble Ministers nominated to unfurl the National Flag at District Head Quarters will be communicated separately. Invitations to the function hould be extended to the prominent Officials, non-Officials and reedom Fighters. 3. As regards, Celebrations in villages, the Collector & District Magistrate of the District concerned be entrust the responsibilities to the concerned officials of Revenue Department, for arrangements. In other places, the Heads of Institutions be hoist the National Flag and explain the significance of the Day. 4. The Government desires that special functions should be arranged on that day in all the schools, colleges and other institutions, arranging Flag Salutation, Community singing of the National Anthem and Distribution of sweets to children etc., The Heads of Departments concerned are requested to issue suitable instructions to all institutions under their control to ensure that of the Local Bodies do not clash with those at District Head Quarters. 6. As usual, there will be no restriction on the flying of the National Flag on the Independence Day; the National Flag could be flown on all the Public buildings. The recipients of Civilian, Tamrapatra Awards and the Freedom Fighters should also be invited and given prominent place in the seating arrangements as per the protocol instructions, at the Guard of Honour and for other functions. The following programme is to be organized for Independence Day Celebrations on 15.08.2017 at District Head Quarters other than at Chittoor and other Moffussil places. MORNING: Community singing of National Anthem and other National Songs in all Educational / Industrial Establishments and Public Undertakings and taking out procession of Students and others terminating a t the venue of the function. 09 00 hours: Unfurling of National Flag by the Minister Nominated by the Government at the Guard of Honour by Police; Home Guards and NCC etc. Distribution of Patta Certificates (Short speech by the Minister). MORNING: March-past by School Children through streets, singing National Anthem and other National Songs (it should be ensured that the children taking part in the procession should not be put to undue strain). 09 00 hours: Flag hoisting at local schools, Panchayat Office, Mandal Offices or at any other Central Place, Community singing of National Anthem and National Songs. Distribution of sweets to Children.